These instructions document the configuration of a Raspberry Pi Model B (v3) as a dedicated Amiga Emulation station. The distribution used is Raspbian Jessie (based on Debian). 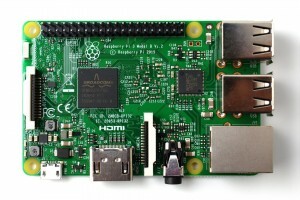 However, the same instructions should work on other versions of both the Pi and OS with little to no modifications. Firstly, install Ra spbian. For dedicated emulation use I suggest Raspbian Lite; this omits X (desktop) components so will ensure all CPU cycles are available to the emulator. The full desktop distribution can be used but will require additional configuration not covered here. A DHCP address should be allocated when a network cable is connected. The command ‘ifconfig eth0’ should return a valid IP address. If using wifi, ‘ifconfig wlan0’ should do similar although I won’t cover setup of wifi here (see documentation available here). From this point onwards I assume the Pi is installed and connected to the internet. Firstly, we need to expand the disk partition and file system to use all available space on the SD card. From the command line type ‘sudo raspi-config’ and hit enter. From the menu, select ‘Expand System’, then ‘Finish’. When asked, select ‘reboot’. Once rebooted, we want to update the list of available packages and install any updates. If these commands fail you may not have aptitude available, install aptitude by ‘sudo apt-get install aptitude’ then retry the above. Then hit CTRL-C and you should be returned to the prompt. The command above creates a file .bash_profile which is read on login. We print “Booting Amiga…” then wait for a few seconds as this give you the opportunity to quit (just hit CTRL-C if needed). If you’ve not made any mistakes, you should now be able to logout (type ‘logout’ or simply hit CTRL-D) and you should be automatically logged back in and UAE4ALL should start. From here you can customise to your liking! At any point during emulation, the F11 key should show the emulator options.